My name is Ronny and I am from Peru (South America). I am a KDE user for about 3 years and now is time to develop for KDE. My KDE life started some months ago and I already started doing some small contributions like Promo work here and developing a game in Playground called KPeg. But, the happiness I feel right now is beyond words, because this year I was accepted for the Google Summer of Code Program to work on the Open Source Project I love: KDE. A big thanks to the KDE community and specially to two KDE developers who will be my mentors: Thomas McGuire (Kmail) and Stephen Kelly (Akonadi, Kjots, Grantlee author). Guys, thanks for answering my questions and all your support during all the GSoC process. I am going to work with the KDE-PIM team on integrating the Grantlee library in KDE PIM applications to improve the theming support. So, let us have fun with this GSoC project and make KDE rock even more. I am also happy that another person from Peru was accepted to work on this KDE/GSoC: Percy Triveño who will work with the KDE-EDU team on integrating KmPlot into KAlgebra. Happy KDE SoC to everyone. As I told before, I picked up a game from playground and after some KDE vacations I finally had the opportunity to hack on the game once again. I rename it and today I released KPeg 0.2. I am following this version number because I think it is not completely ready to be 1.0 as the former developer specified. 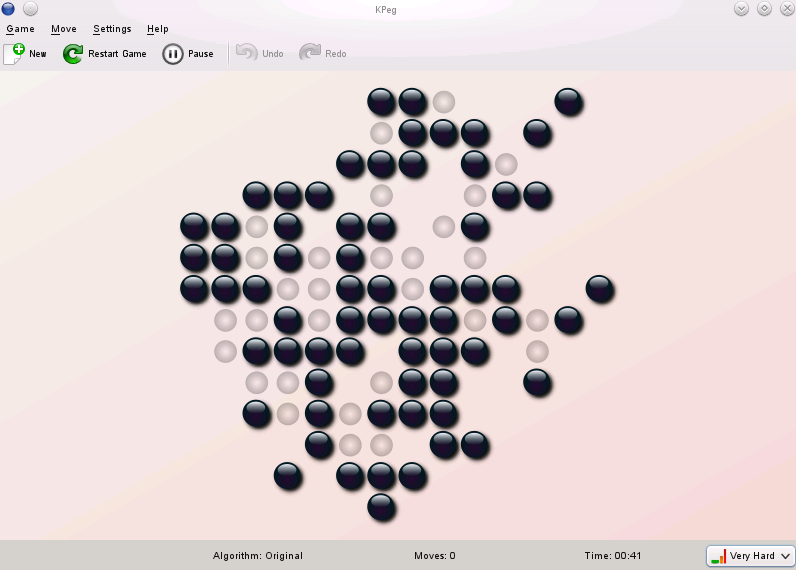 KPeg has 5 leves of difficulty and 3 algorithms to generate the puzzles (Original, branch and lines), these affect how the pegs are distributed on the board. For reference, Peg solitaire at Wikipedia. Well, I created 3 new themes/icons and removed the old ones. My artistic skills are very limited so don’t expect to have wow-SVG themes. I also created a cool DropShadowEffect for the pegs thanks to the new features of Qt 4.6. I made some adjustments in the branch algorithm and cleaned up the code for the random seed generator number, not needed anymore. Currently, I am working on the algorithms for English and European Peg Solitaire boards and in the next weeks the challenge will be to create an animated peg solitaire solution. Please, test the game (and your brain) and send me all your comments and feedback. Remember that game development is fun and I will continue developing KPeg just for fun and to learn more about Qt/KDE. More news about the game coming soon. 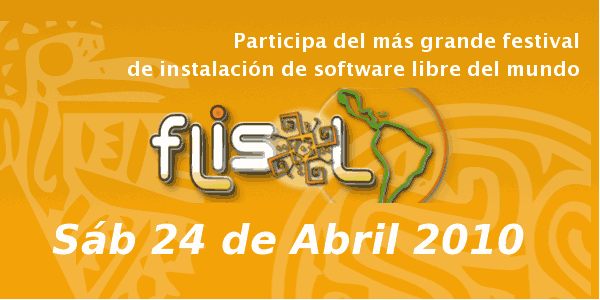 On Saturday, April 24 in all LatinAmerica will be held the world greatest Installfest of Free and Open Source Software called FLISOL (Festival Latinoamericano de Software Libre). I am going to give a talk on how to develop applications with Qt and will share my first experiences of KDE development. The event will take place in the “Universidad Católica de Santa María” starting at 9:00am. So, you are all invited to join the fun with the Linux geeks from Arequipa. 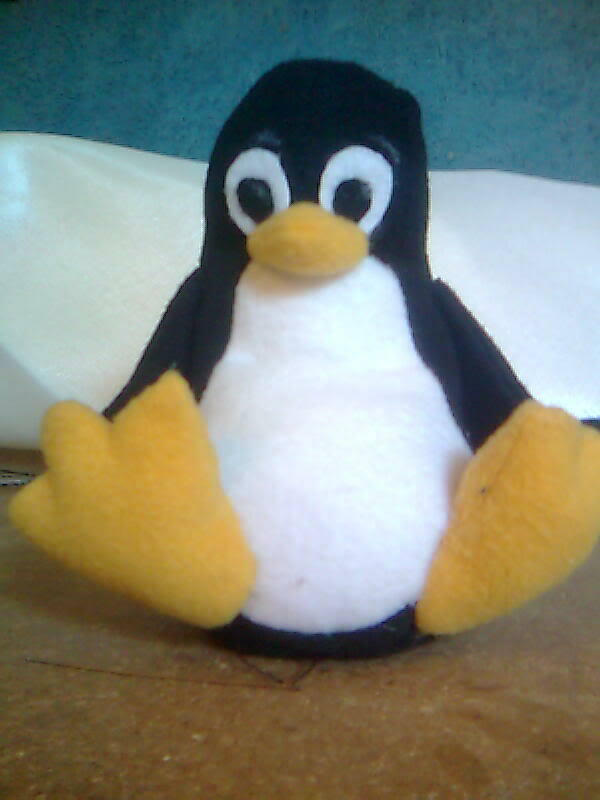 For more details, you can check the website of my friends from the Arequipa Linux User Group (AQPGLUG). Also, there will be Tuxes for sale, it is a good time to buy a Tux for you (Your Love).